The KMLE Medical Dictionary is a medical dictionary search engine which searches American Heritage Stedman's Medical Dictionary, MeSH, Taber's Medical Dictionary, Merrian-Webster's Medical Dictionary, Dorland's Illustrated Medical Dictionary, CancerWeb Medical Dictionary, Merrian-Webster's Medical Dictionary, MedicineNet.com Medical Dictionary, WHO ICD-10 Version 2006, American Heritage Dictionary, and a number of other resources. 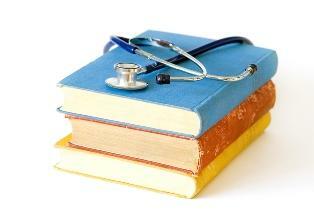 The National Institutes of Health offers an online medical dictionary. The site is good for the lay person, because it allows you to do wild card searches using an asterisk. This means that if you do not know the correct spelling of a medical term, you can still search for the correct spelling and meaning. The site even contains a brief tutorial so that can learn your way around medical terminology. There are also lists of common abbreviations and what parts of words mean. Much of the information at Medline is available in both English and Spanish. The MedTerms Medical Dictionary is a product of MedicineNet.com, an online healthcare media publishing company. The goal of MedicineNet.com is to provide in-depth, easy-to-read, and authoritative medical information to the average consumer. MedicineNet.com is also the author of Webster's New World Medical Dictionary First and Second Editions. The name Dorland is probably best know for the publication of the American Pocket Dictionary and the American Illustrated Medical Dictionary. Now they have brought this same knowledge to you via an illustrated online medical dictionary. Unfortunately, this dictionary is not available to just anyone. You need a passcode that is only available with the purchase of one of their printed dictionaries. Look for support groups specializing in the medical condition you are researching. Often support group websites offer a large database of medical-related articles and forums where you can ask questions. Look in the phone book in your area for Ask-a-Nurse or the equivalent free community service. Contact a local medical school.